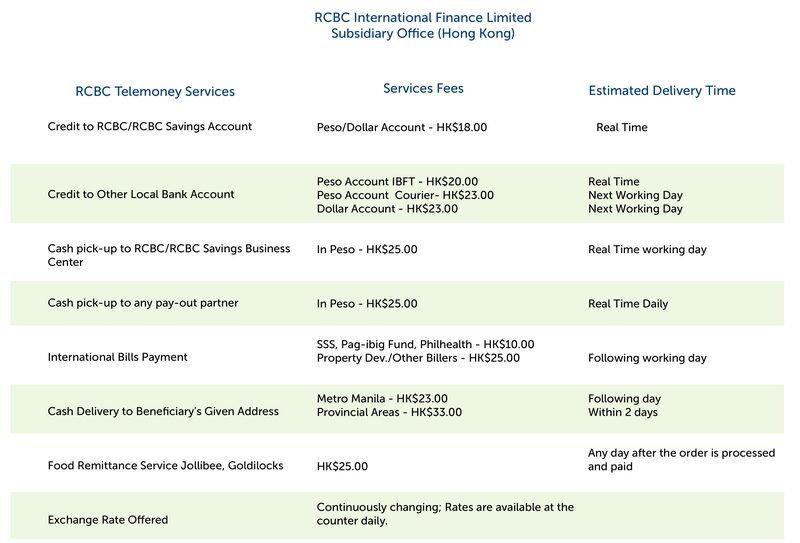 Remittance services coursed through RCBC’s remittance partner, may vary in terms of charges and fees. Remittance partners/tie-ups and agents are licensed private remittance companies that enter into a partnership with RCBC, for the bank to act as their delivery arm in the Philippines. You may check their own website for their fees and charges on remittance services. Note: Fees may change without prior notice.